Unity with the Community Banquet Fundraiser. 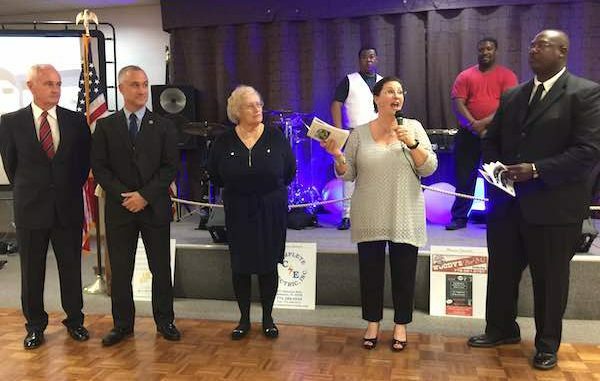 Pictured from left to right: City Manager Joe Griffin, City Council members Albert Iovino and Linda Kinchen, Chief Michelle Morris, and Officer Donald Hart. 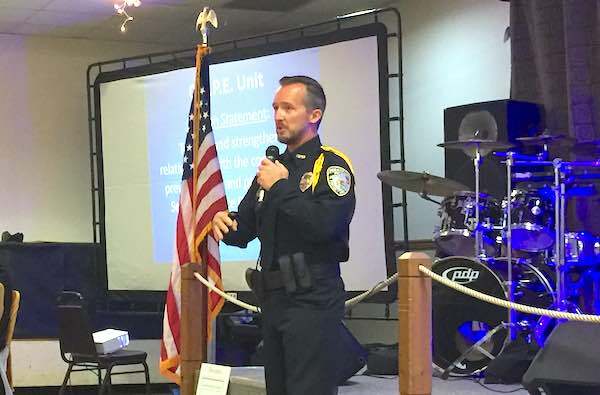 SEBASTIAN – Six awards were handed out by Sebastian Police Chief Michelle Morris Saturday at the 1st Annual Unity with the Community Banquet Fundraiser. All proceeds help to fund their community outreach programs. The recipients of the Special C.O.P.E. 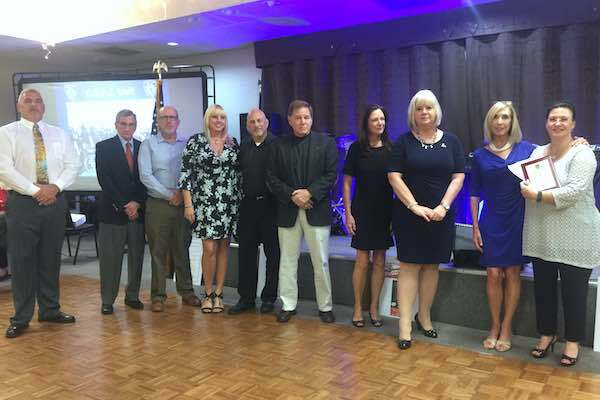 Recognition Awards were Bruce Zingman, Sebastian City Manager Joe Griffin, Sebastian Walmart manager Bill Bales, Sebastian Police Officer Tegpreet “PREET” Singh, the Sebastian Exchange Club, and the Arden J. Greer Charitable Trust. The guest speaker was Commissioner Joe Flescher. 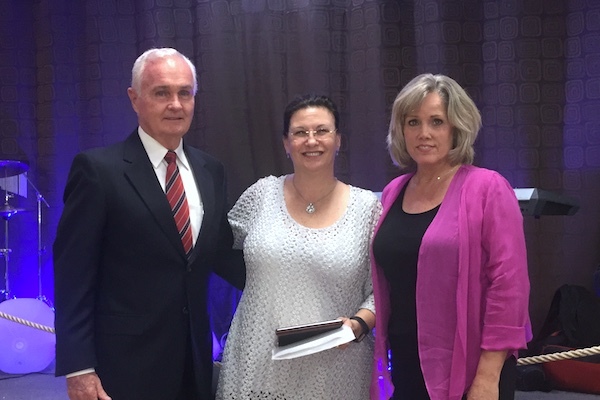 This banquet raises money for programs, such as radKIDS and C.O.P.E., and gives the police department the opportunity to recognize people and businesses that have gone above and beyond to help their efforts. Bruce Zingman has been in charge of the Sebastian Christmas Parade for more than a decade. Every year he has dedicated many hours supporting the Salvation Army including ringing the bell at various locations ensuring children and families in need have a Merry Christmas. Bruce volunteers with many other community services organizations in the region. He is at almost every event in the City and is always encouraging and supporting the outreach efforts of the Police Department. City Manager Joe Griffin (left). 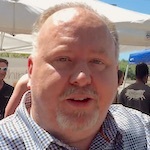 Joe Griffin started with the City of Sebastian as the Airport Director in 2006. In 2014, Joe was appointed City Manager by the Sebastian City Council. 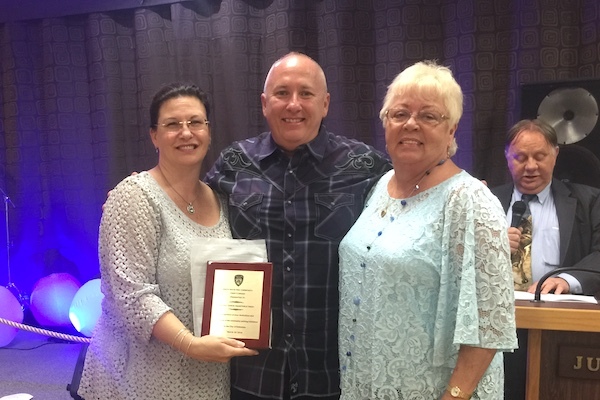 In both roles, he has been a strong supporter of the Sebastian Police Department, encouraging and supporting the various community outreach programs and projects. 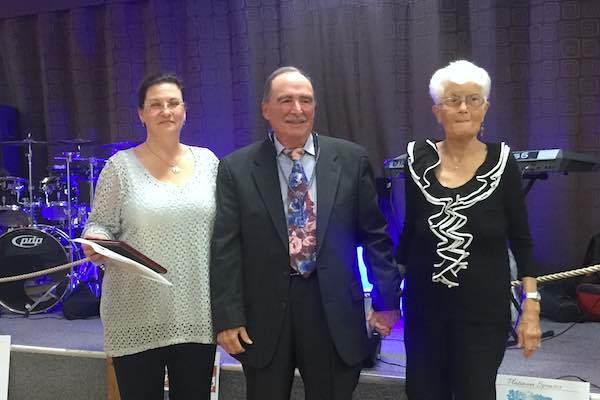 Sebastian Walmart manager Bill Bales was recognized for his contribution to the community. Walmart is the main sponsor and partner of the Sebastian Police’s “Shop with a Cop” event every year. Walmart provides the children and police officers with food, a cheerful welcoming, and the largest monetary donation to provide more than 120 underprivileged children each year. Officer Tegpreet “Preet” Singh (right). 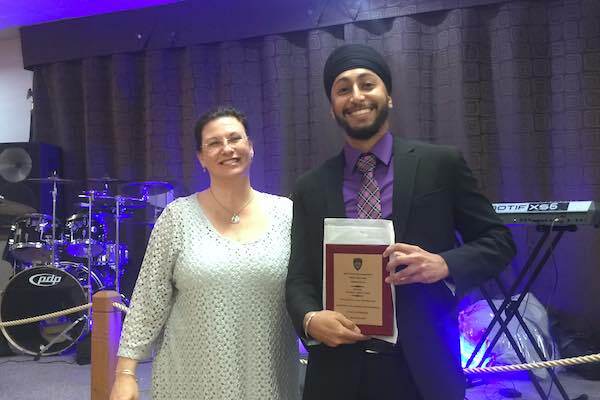 Prior to attending the police academy, Officer Tegpreet “Preet” Singh served as a volunteer with the Sebastian Police Department for two years. He was sworn in October 2016 and has spent almost every single day engaged in the true art of Community Policing. Almost every day, including his days off, he spends time at the local basketball courts and city recreational facilities talking with kids and members of the community developing relationships with Sebastian citizens. At some of the police events, other officers can hear kids and young adults yelling for “Officer Preet”; evidence of his devotion to the philosophy and commitment to community-oriented policing. Officer Singh is expected to be back to work in about two months. Preet says he will be ready for a basketball challenge. “I tell all the kids, even behind the badge, showing them that we’re not the bad guys that a lot of people portray. Even when I was hired, I wanted to build a bridge that’s stronger between us and the little kids,” Officer Singh said. The Sebastian Exchange Club exists to promote Americanism, Youth Activities, Community Involvement and Prevention of Child Abuse. They fully funded the Sebastian Police Department’s radKIDS Program. They also donate funds every year for the “Shop with a Cop” project. for persons in need throughout the Sebastian area. “We’re proud to be the sponsors of this incredible group. I think Diana Best is the one who brought it to our attention on what a worthy cause this is, and we intend on supporting it for many years,” said Mike Natale. Arden Greer Foundation. Rob Kyzer (middle) and Nancy Greenwald (right). Arden Greer was a huge animal lover, and she was especially fond of police dogs. In her life, she helped the Sebastian Police Department start its K-9 unit by donating money for training and the purchase of dogs and specialized equipment. Following her passing, the Arden Greer Foundation was established and continues to donate much of the funding necessary to support the agency’s K-9 unit. Officer Jason Gillette talks about radKIDS, Explorers, and Community Outreach. The Sebastian Police Department has employed the radKids Personal Empowerment Safety Education Program designed to prevent child abuse and neglect as well as to prevent predatory violence from abduction, sexual assault, molestation and bullying in schools. Officer Jason Gillette talked about radKIDS (Resisting Aggression Defensively) during the event. Gillette said that kids who are victims of child abuse are eight times more likely to go to jail when they get older, and 30 percent more likely to commit a violent crime. “So what I tell people is, if you want to reduce violent crime, deal with child abuse. If you want to deal with alcoholism, deal with child abuse. If you want to deal with drug problems, deal with child abuse. 9 times out of 10 it is the root,” Gillette said. It is a national program that has been taught to 500,000 kids around the country. Gillette says out of all of those kids, not one of them has ever been abducted, and 172 of them have used what they learned in the class to escape from somebody who was trying to physically abduct them. The police department will soon start an Exploring program, which is for young adults. It is a career guidance and youth leadership program. “I go out and meet with the public all the time, and I am often told ‘I wish there was something for my kid to do’ or ‘I wish there was a program to mentor them and teach them.’ We are going to start an Explorers program to do that,” Gillette said. The program is for teenagers 14 to 20 years old to meet one night a week for a couple hours. Gillette said they will teach them character building skills, leadership, personal development, integrity, etc. Young adults will also learn how to be law enforcement officers, going through all the same training as police officers do. “It’s great for the kids because they learn some skills. Even if they decide they don’t want to become a police officer, they will still have all the life character building skills that they can take with them,” Gillette said. Community Outreach is Sebastian Police Department’s flagship program. The department sets up a trailer that serves free snow cones and popcorn. The Community Outreach trailer is usually seen at parks or events where the public is invited to talk with local police. There’s usually a couple of police cars on hand for kids to sit in and use the sirens if they choose. “The whole idea is to get us out of the office, into the community, making contact with the citizens, and building relationships with them. Hearing what their worries are, what their concerns are, and helping them solve any issues they may have in their neighborhoods,” Gillette said.